Your motorcycles may have some good memories but if all you get from it now are achy bones and joints, you may want to sell those motorcycles for cash before you end up as one big ball of pain. The selling of used motorcycles for cash has experienced quite a growth in the last 20 years and now there are tons of motorcycle buying websites for people to go to. If you have a used motorcycle and you want to look for websites that buy motorcycles for cash it will be very easy for you to do so. After all, you just need to go online and sell. However, you need to understand that not all companies that buy motorcycles for cash will offer you the same deals nor are they of the same caliber. Some companies are just better than others and will offer more cash for motorcycles sellers. There was a time when selling motorcycles for cash was a lot of trouble and took an awfully long time but that has all changed. With the advent of ecommerce, you can now get cash for a motorcycle in as little as 48 hours. These days, you no longer have to go through the trouble of posting ads on the papers or posting ads on the internet because you can easily go to a motorcycle buying company. 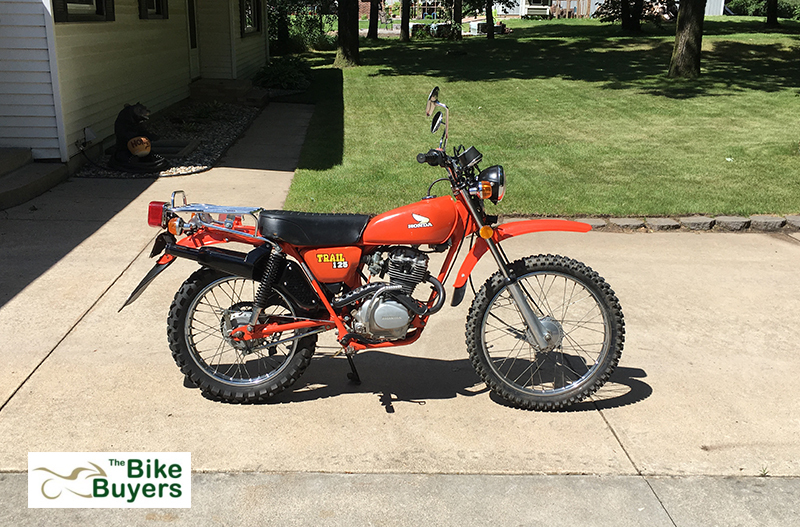 The best part about selling motorcycles for cash online is that you do not need to worry about the condition of your bike. You can get cash for a motorcycle in any condition. Whether your bike is rusty, wrecked, or dented cash for motorcycle companies will get it out of your hands. When you sell your motorcycles for cash with these sites you can do away with all the little brothers of selling a motorcycle. How to get cash for a motorcycle? It is very easy to sell motorcycles for cash and the first thing you need to do is go online where you can look for a company to sell to. One company you can trust to bring you only the very best rates and services is The Bike Buyers. We are a company that has been in business for the last 25 years and have thousands of satisfied customers. All you need to do is visit our website at www.thebikebuyers.com and fill out the free quote form so we can give you the correct value of your motorcycle. You can also give us a call at 877-751-8019 and give is the details of your bike so we can come up with a price. If you say “yes” to the offer then we will arrange a pickup and payment schedule in less than 48 hours.